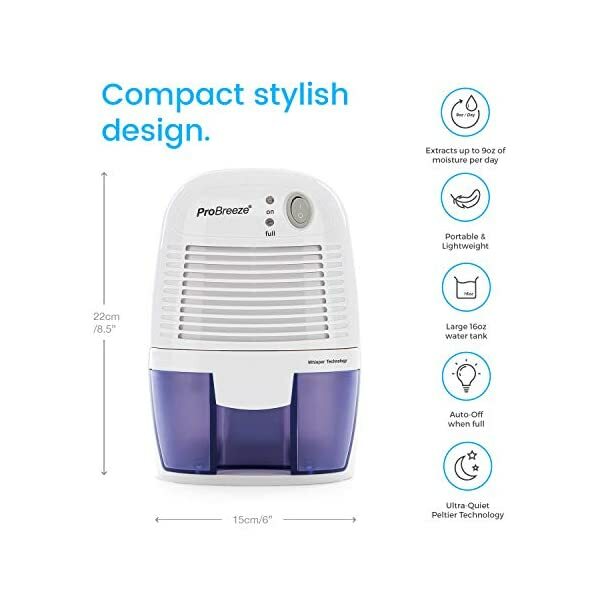 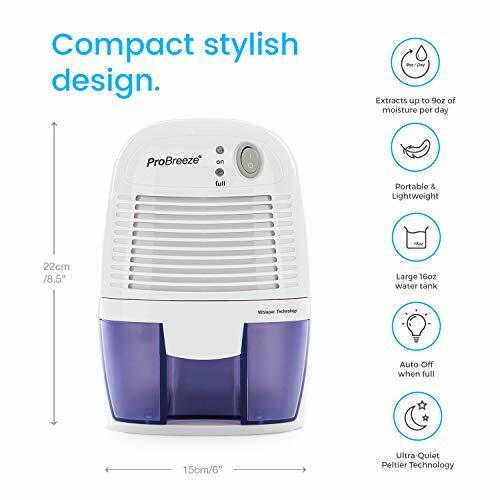 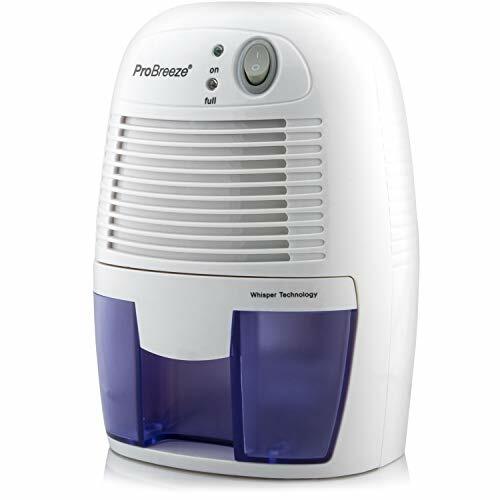 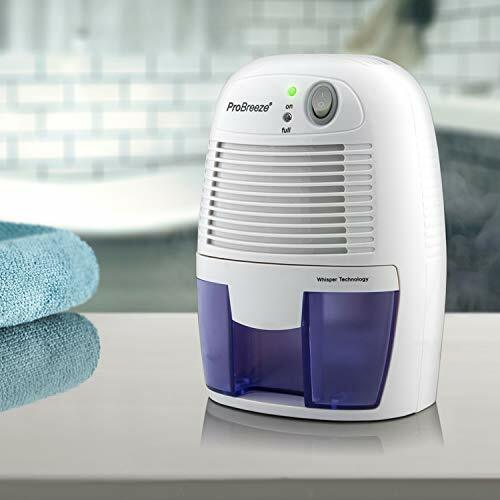 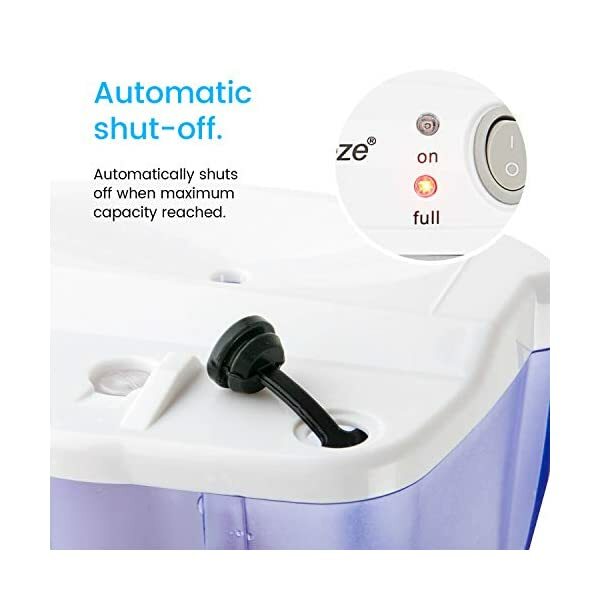 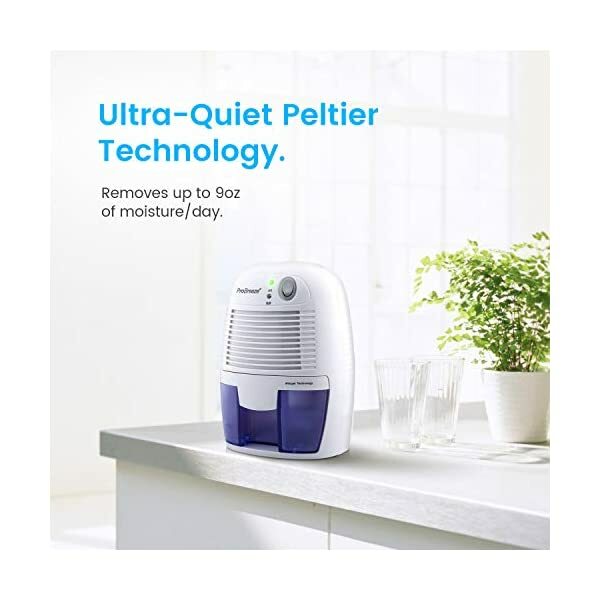 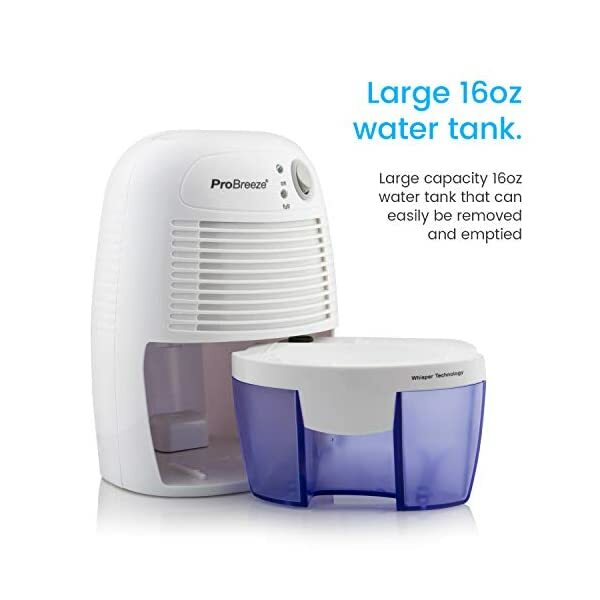 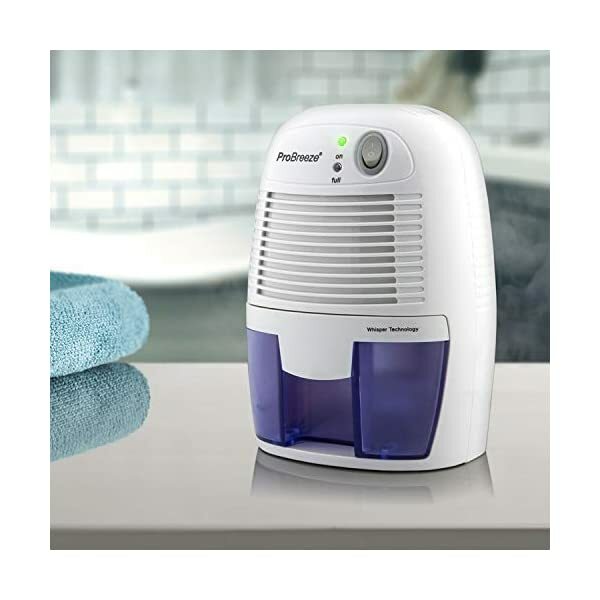 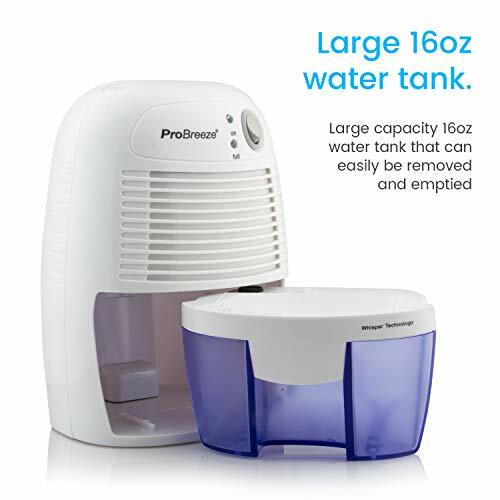 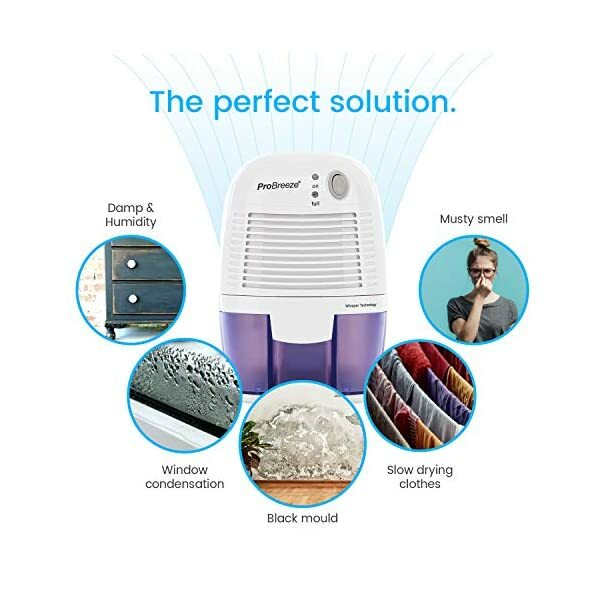 Brand new Compact Dehumidifier from ProBreeze quickly and efficiently removes damp, mold and moisture from the air – Perfect for small areas up to 1100 cubic feet including the Kitchen, Bathroom, Garage, Caravan, Basement, Wardrobe, Closet, Boat or anywhere else prone to damp air. 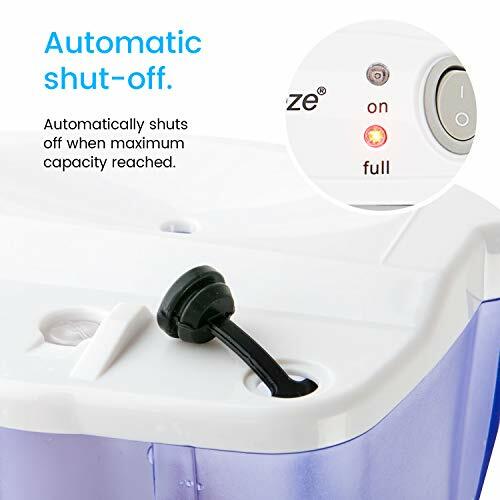 – Extracts up to 9 ounces of moisture per day. 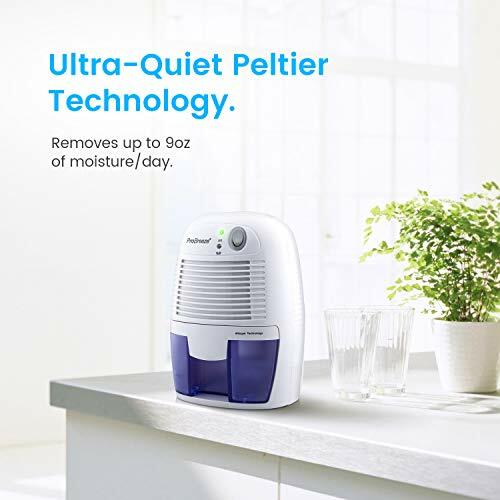 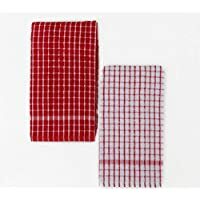 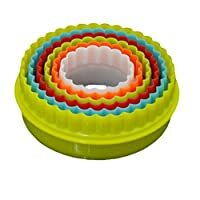 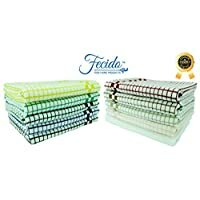 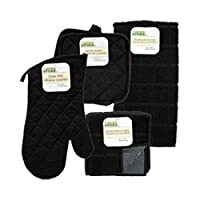 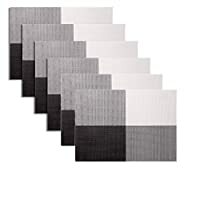 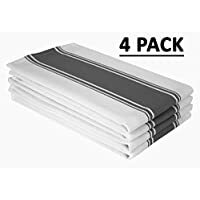 REMOVES MOISTURE: Perfect for removing damp, mould and moisture from your home, kitchen, bathroom, bedroom, caravan, garage, closet. 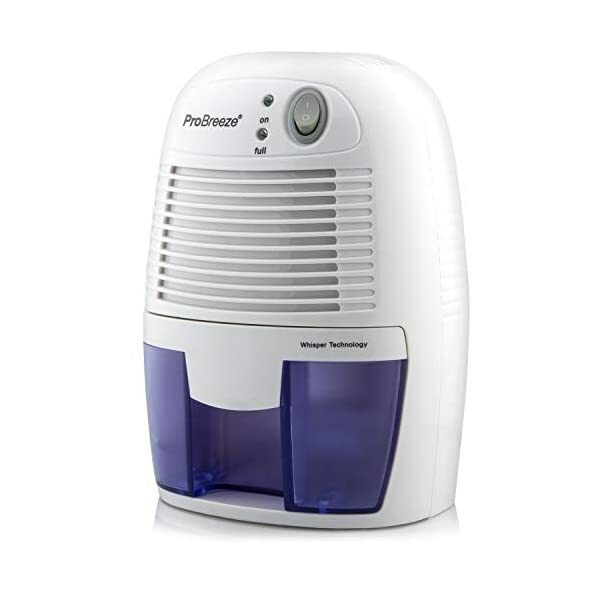 Like all mini dehumidifiers, optimal operating temperature is 59-86°F. 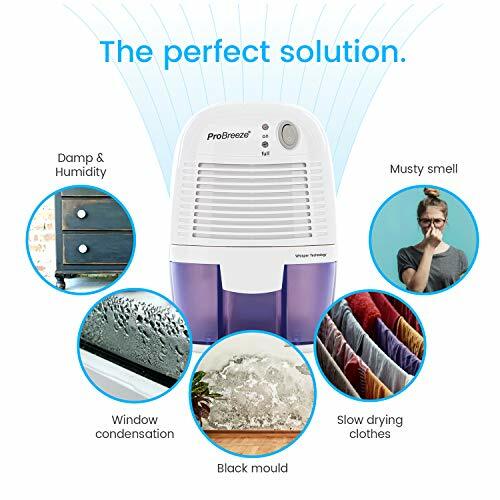 It will not work below 41°F.